Thousands of years from now, much of our society will have been forgotten. 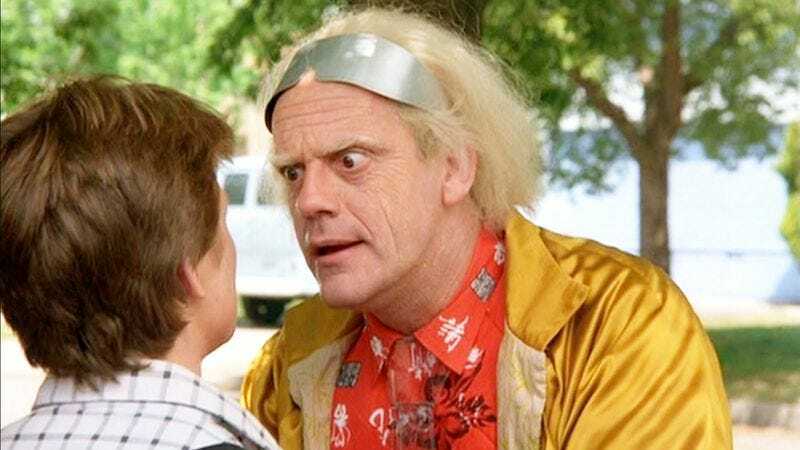 Let these photographs of actor Christopher Lloyd provide a historical record for future civilizations, so that they may look to the past and better understand our day and age. To all those who see this in the distant future: During our time, there was an actor named Christopher Lloyd who was beloved for his many film and television performances. Though he wasn’t right for every role, when he was right, he was truly great. Here he is on the left, standing next to a fellow actor in his most popular film, Back To The Future. Perhaps, many years from now, Back To The Future will have long since been forgotten. But with any luck, this still from the film will be preserved, allowing future societies a glimpse of the veteran actor in his career-defining role. Lloyd made his film debut as Max Taber in One Flew Over The Cuckoo’s Nest. Though known primarily for his film work, he also starred in numerous television shows, including his role as the Reverend Jim Ignatowski on the sitcom Taxi. Lloyd was an expert at portraying eccentric characters who were often rejected by society. He had a knack for humanizing these oddballs and misfits, endearing them to us no matter how wild and crazy they happened to be, like Uncle Martin in My Favorite Martian. He was also an accomplished stage actor. If no other record of our time survives, perhaps this photograph of Christopher Lloyd as Uncle Fester will serve as a guide to future civilizations seeking to understand the career of one of America’s most iconic character actors. May his visage endure long after we have expired.